It looks lovely & very very comfy! thank you so much for this pattern, i love all yours projects, it’s a pleasure to come here every morning. It looks very nice, thanks for writing down the pattern. I have one question: Do you do the row with the chains always in white? Thanks for the pattern. It looks very nice. I love all yours projects and pics. I love it! I think I need one, and now that I’ve figured out how read these patterns, it should be simple! Merci! 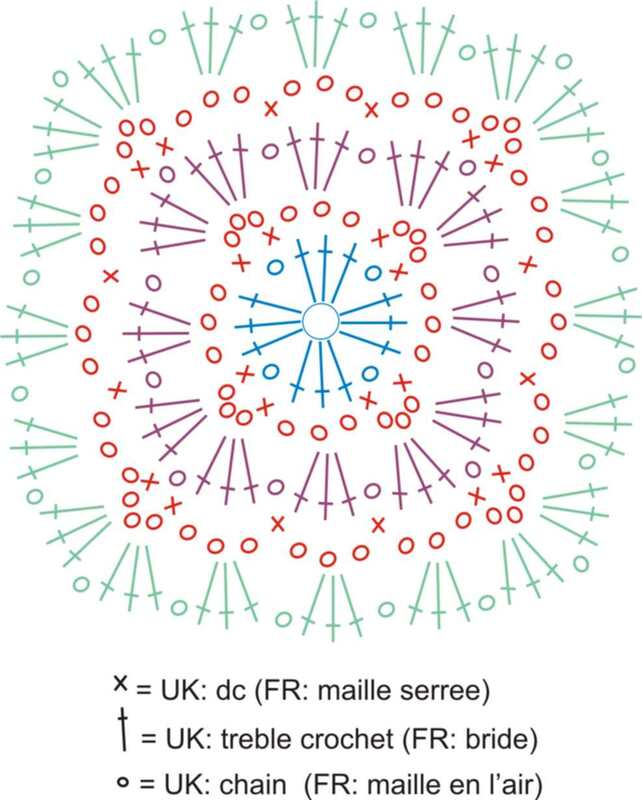 Je vais le faire aussi, mais au lieu du blanc je changerai les couleurs là aussi. How simple, fast and very beautiful! Wow, that was fast 🙂 Thanks for posting the pattern. I love how you give us the visual patterns for things. Great job. ooh another cushion to try! Thank you again for all of your work! 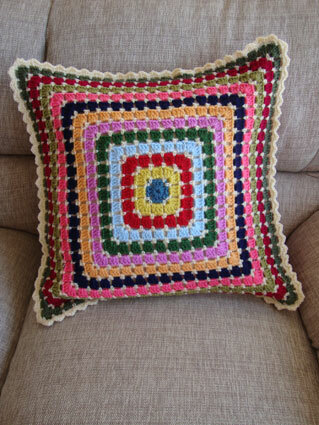 And for the wonderful pattern of this colourful cushion!! Hi Angie, thanks for your lovely comment on my blog and thanks for posting all those wonderful patterns! 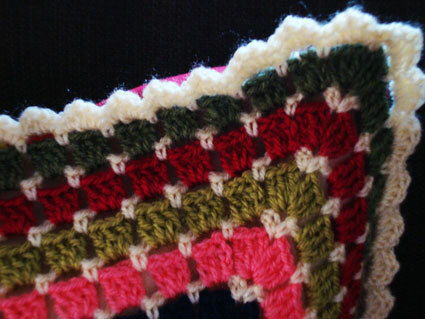 I love the colors you’ve used for your mosaic cushion! 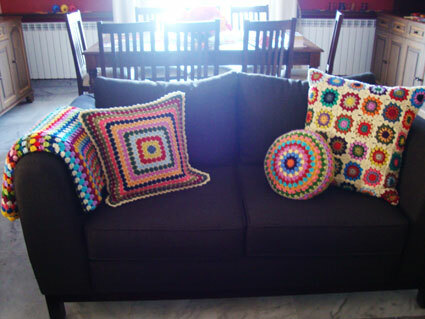 I love the mosaic cushion; thanks for sharing the pattern. I am about to finish my Giant Granny, and this cushion will be a good way to use up the leftover yarn from that fun project. Is there a written pattern? I am not very good at charts. Hi, I do your love your creations. 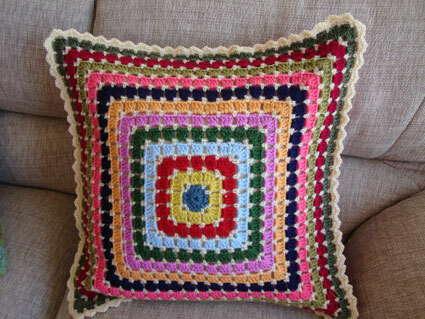 How did you make the border for your cushion. It looks like you made the the sc, ch3 around then did a graduated shell. Thanks for any help.